LearnDash is the go-to LMS for teachers all over the globe. In this article, we discuss some useful strategies which can enhance your experience with LearnDash LMS and solve some obstacles so that you can concentrate on the only thing that matters: teaching. Read on to know more. Running a Learning Management System is not an easy task. You have to keep track of courses, pages, enrollments, student interaction, to name a few. If you choose LearnDash as your LMS, then things become a bit easy. 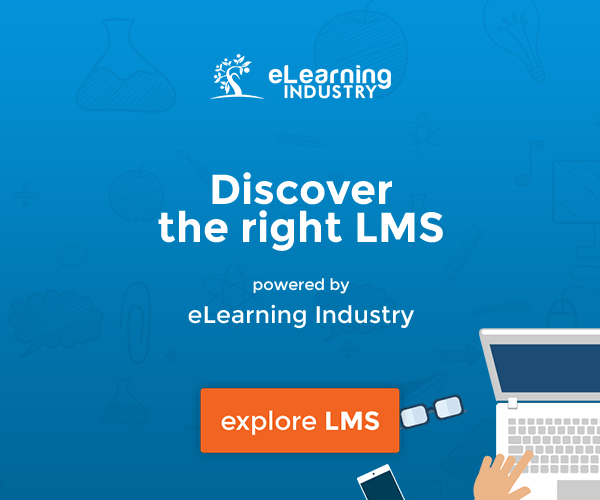 In this post, we will discuss some essential strategies to get more out of your Learndash LMS. Even LearnDash has its constraints. There is the looming possibility that you might get lost in designing the structure of the course itself because there are so many options offered by LearnDash. Creating a course is trickier than creating a page in WordPress because of all the factors you have to keep in mind. You have to remember course shortcodes, tags, categories and each tiny detail of the course. Usually, most LMS owners face the problem of time management and even resource allocation. It is crucial to use some nifty add-ons that allow us to create robust courses within a stipulated timeframe. Course instructors also face the problem of inconsistent communication with their students because of the distance involved. An improved student-teacher involvement is essential to ensure the student clears all his doubts and benefits from taking the course. Another roadblock for teachers is managing enrollments. When there is a multitude of students, then keeping a record of their progress, access, etc., will give you sleepless nights. Even enrolling multiple students takes a lot of time, which can be better spent on making your course content better. 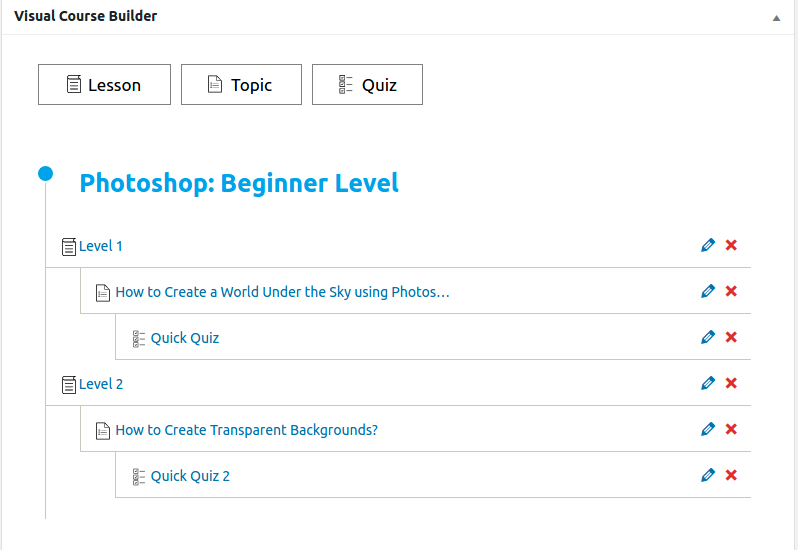 One useful strategy is to create courses using a Visual Course Builder. 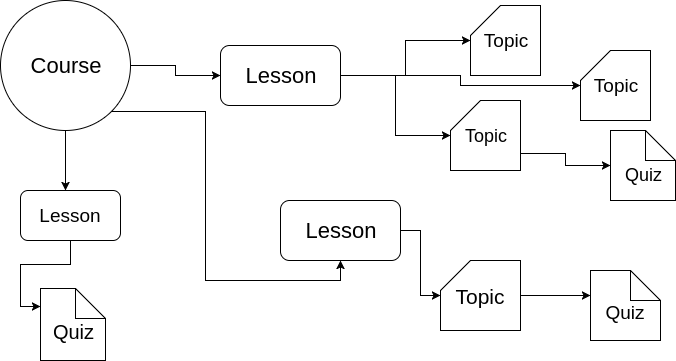 This solves the biggest problem of course creation: creating a course outline. Once you get a hang of your outline, you can easily decide the contents of your course. 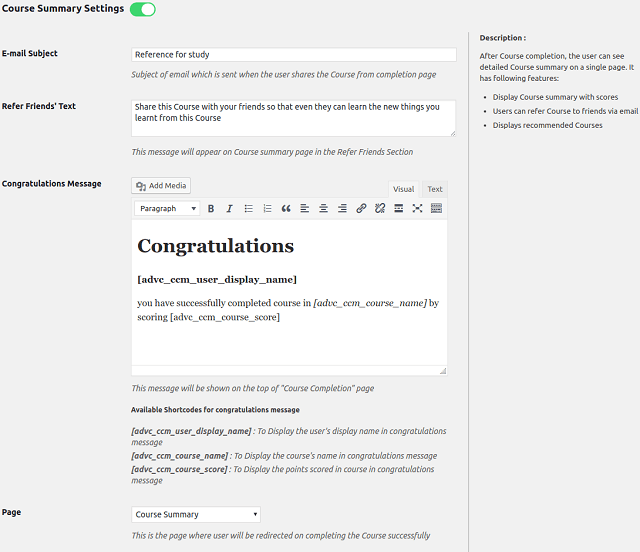 This saves time because you can easily add, edit or delete lessons, quizzes, and topics from the course outline itself. In a visual builder, your course is arranged hierarchically. You have a better perspective on your course. For instance, if you have a course about photography, you have to decide the proper arrangement of your lessons. A lesson on operating the camera must come first. Then you can proceed to ISO, iris, shutter speed settings. Then comes playing with lighting and focus, and so on. If you are able to maintain a proper hierarchy of your course, it is helpful to you and more importantly, your students. Consider this use case: You have a huge Learning Management System, with over a 100 different courses. Each course has tons of lessons and numerous topics and quizzes. Now, if you have to edit a said course and change the order of lessons and their sub-objects, we are sure you would be in a tizzy. It is an enduring task to remember the order. Changing the content and structure is also painstakingly difficult. This is where a Visual Course Builder will make things much easier. With just a click of a mouse, you can change the course accordingly. For better enrollment management, you must have an add-on which can arrange and display the nitty-gritty details of your students in a cohesive manner. We went ahead and used a plugin which has the required functionality. As you can see, you can track all your users’ progress in the course, last accessed content, and even clear their progress in the course. You can also edit their access to the course. If you want to enroll a new user, just type in their email ID and they will be added to your course in a jiffy! As we mentioned earlier, an improved student-teacher involvement is essential to ensure the student clears all his doubts and aces the course. 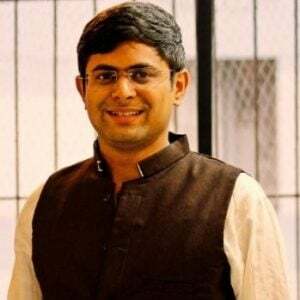 Owing to the fact that the biggest advantage of an eLearning website is that it bridges the gap between a student and a teacher, who can be millions of miles away, this strategy is very crucial. You can start a conversations thread with your student, which must be ordered chronologically. Messages directed towards the teacher containing student reviews and feedback can also help make the course content better. If you keep your students' progress in mind, you can help them perform better in the course. If a student has an option to resume a course from the last “checkpoint”, they will be more focused on concentrating on just the course. An added bonus would be sending them a course summary at any desired point of the course. This would help to provide a clear perspective on the student. 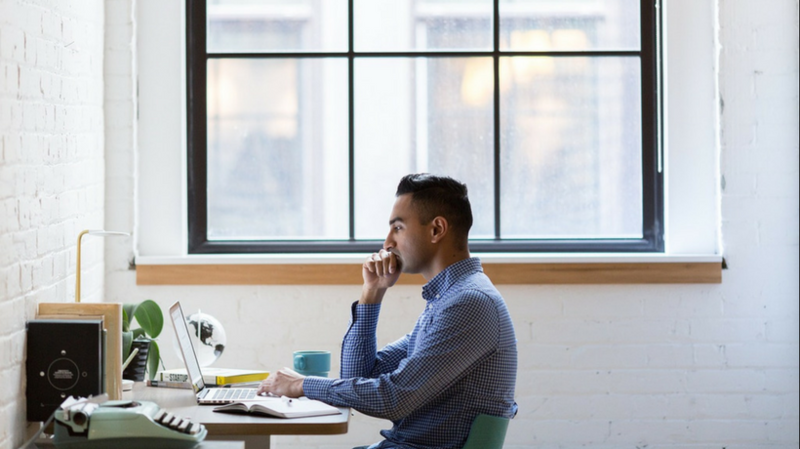 With the above-mentioned strategies to transform your Learning Management System, you can make sure you get more out of the hard work and time you spend while teaching. The intentional pun directs us to a plugin that contains all of the features which can justify the strategies we have mentioned. Advanced Course Manager by WisdmLabs is one solution we offer. Apart from a solid Visual Course Builder, the plugin also has other useful features like Enrollment Management, Resume a Course, Contact the Teacher and a Course Summary. You can purchase it here. How did you like our take on LMS strategies? Do let us know in the comment section below!